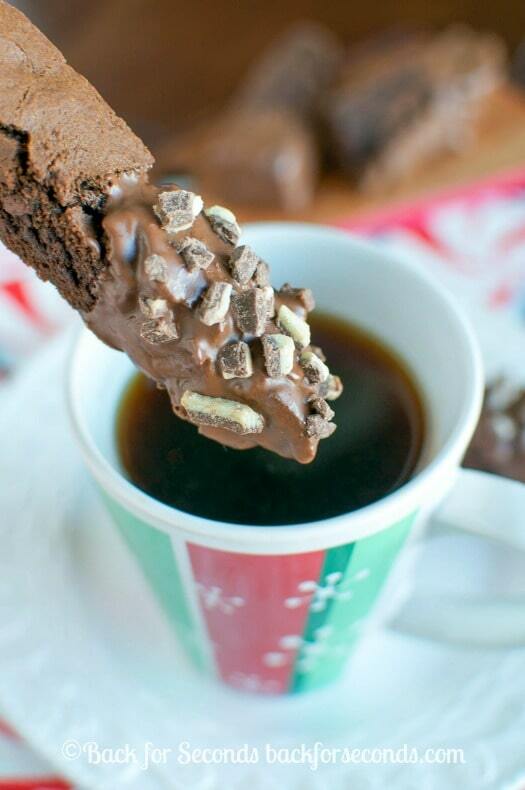 Andes Mint Chocolate Biscotti is the perfect cookie for dunking in coffee. 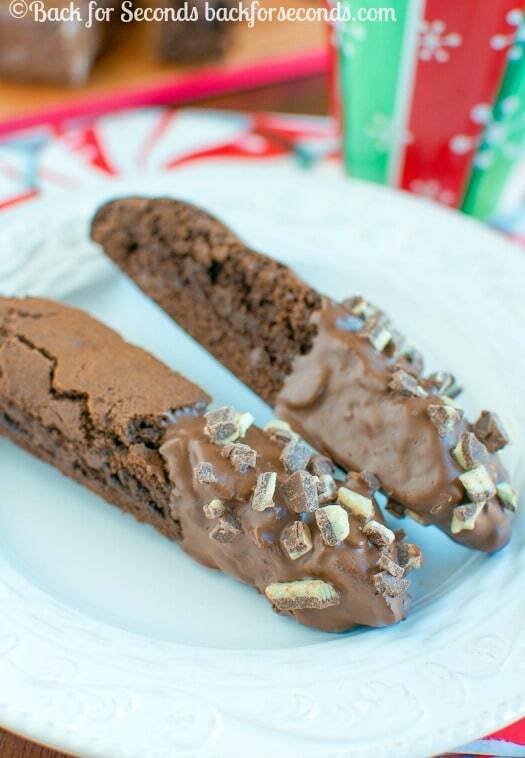 Chocolate biscotti with chocolate chips, and peppermint, dunked in melted Andes! 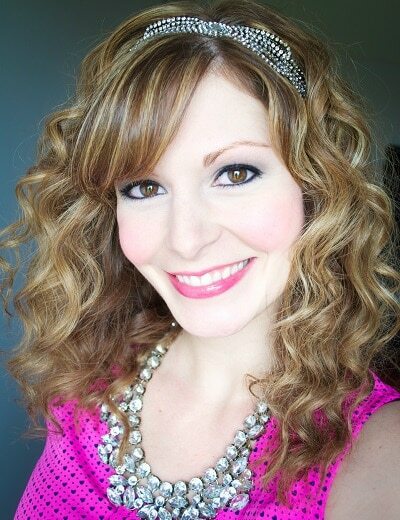 Raise your hand if you love Andes mint chocolates! 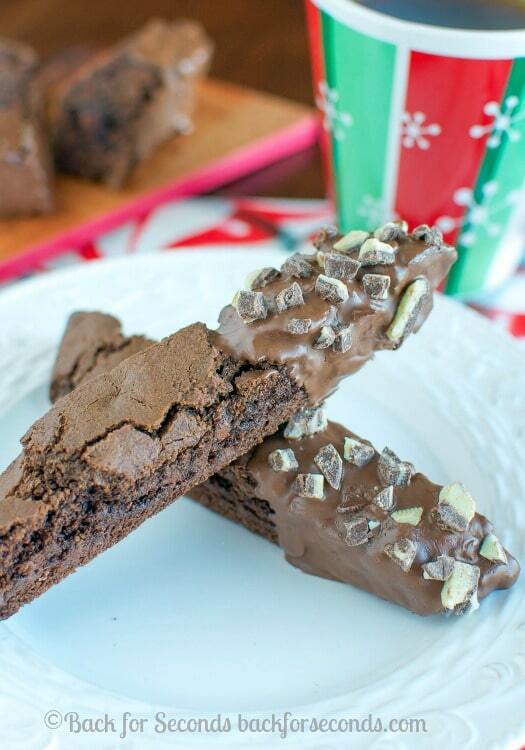 This Andes Mint Chocolate Biscotti is totally dreamy. The crunchy cookies just melt in your mouth when dunked in coffee, and that chocolate mint combo is irresistible! This biscotti already has a double dose of chocolate from the cocoa powder and chocolate chips, but I took it to a whole new level of yum by dipping the ends in melted Andes!! Double the peppermint, triple the chocolate – oh yeah! Normally I would choose a soft, chewy cookie over a crunchy one, but once I made these, all that changed! I put these in the freezer after baking them because I already had enough sweets on my counter. But every afternoon I take a piece from the freezer, let it sit out for 30 minutes or so, and then brew a cup of coffee and enjoy! I might have a new favorite cookie! My husband isn’t a coffee drinker so he ate one just by itself and loved it! And kids love anything they can dunk. 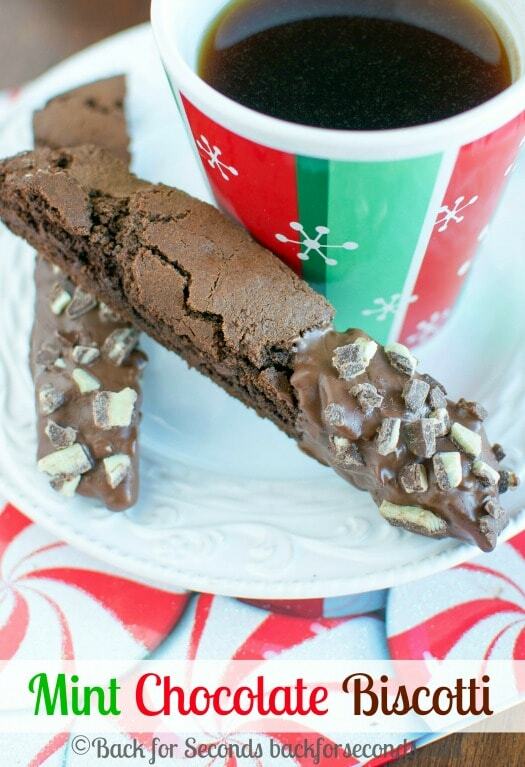 Whether you’re dunking in milk, coffee, or eating these on their own, you are sure to love this Andes Mint Chocolate Biscotti! I love everything about this. I’m an Andes candy freak. Like they are my fave. 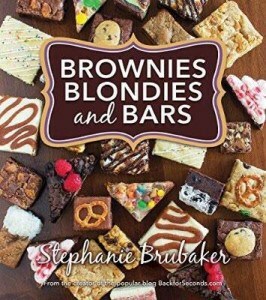 Such a fun recipe! Love this! I’ve had an Andes mint biscotti on the brain for weeks now! The Italian in me wants to hug you now. Biscotti is one of my top 5 favorite cookies! And with the addition of Andes mint chocolate? I must make these and have with my morning coffee ASAP! Such a great flavor for biscotti!